We are presently in the post-Marcberg era of rap. After Roc Marciano released his solo opus in spring 2010, a new continuum began which gathered tremendous momentum in 2012 following the release of his Metal Clergy compatriot Ka’s Grief Pedigree and Roc’s amazingly concise sophomore effort Reloaded. Subsequently, a divergent path opened in modern rap heavily influenced by the sonics, tone, and aesthetic of those three projects. Since then, Roc Marciano has released a critically acclaimed producer album Marci Beaucoup, bookended by the release of his project The Pimpire Strikes Back in multiple formats. In the years since this string of releases, a new crop of emcees and producers emerged heavily inspired and influenced by Roc’s oeuvre while many others’ careers have been left doing the running man in their wave. With multiple modern rap classics already under his Ferragamo belt, last year Roc Marciano liberated the first half of his two part project titled Rosebudd’s Revenge. 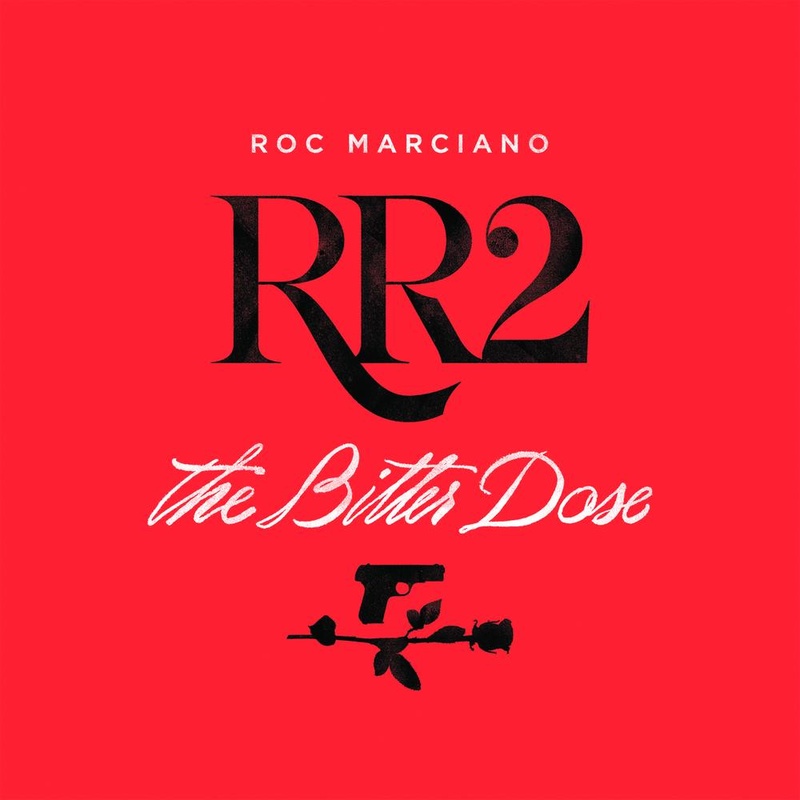 If the initial offering showcased Marc reestablishing himself as the innovator of the present rap wave then RR2 - the Bitter Dose will cement Roc Marciano’s status as its linchpin. From the opening bars of “Respected” to when “Power” finally fades out he fashions another top to bottom high end sonic experience that will be both envied and emulated for years to come while he administers a double dose of pimpin’. Production on RR2: The Bitter Dose is handled by Roc Marciano in addition to Animoss (Arch Druids) (on “Bohemian Grove” & “Happy Endings”), Don Cee (Arch Druids) (on “C.V.S” & “Major League”) and Element) (on “Respected” & “67 Lobby”). Knowledge The Pirate appears on both “Bohemian Grove” and “Major League” while Action Bronson contributes a verse to “Corniche.” Whether it comes to hard bars, slick talk or hustler wisdom, Roc Marciano is unmatched. The Bitter Dose is nothing more than an American master lecturing a captive audience. It’s a guidebook on how to manipulate the English language and convey ideas and concepts and visuals that will evoke a wide range of emotions in listeners. The wait is over. Thank God for Roc Marci.